Irwin Kuhn is a member of Venick Kuhn & Byassee, Austin and Rosen, PLLC where he practices and mediates primarily in the area of family law. He was first certified as a Tennessee Supreme Court Rule 31 mediator in January of 1998 in general civil cases. In 1999, he received additional certification in family law cases. 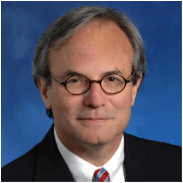 Irwin is First Vice President of the Nashville Bar Associate, immediate past President of the Middle Tennessee Collaborative Alliance, a Founding Member of the Tennessee Association of Professional Mediators, and a Fellow of the Nashville Bar Association. In finding your niche what area do you practice in? How did you get started in this? I am a family lawyer and that is the area in which I mediate. Divorce and family legal issues are among the most stressful life events a person can go through. When I mediate a family law matter or represent a client in a family law matter, I always try to keep in mind how difficult this time is in their life. I am probably not seeing them at their best, but I can help make the situation better for them, and that gives me a great deal of satisfaction. What is in your mediator tool kit? What is your favorite or most used tool? You always have to use the tool that is right for the case you are mediating. Flexibility is important. For example, I know I cannot always do it, but sometimes we forget the efficiency and benefit of letting the parties meet face to face. For example, if you know the mother and father are close to agreement on a parenting plan, let them work out the details together. It builds momentum, creates some trust and good will, and lets the attorneys see the other side as a human rather than the enemy. Once you have been selected as the mediator, what do you do to prepare the attorneys and their clients for the mediation? I usually send a letter to the attorneys confirming time and place for the mediation and send a copy of the mediation agreement I ask their clients to sign. Mediation statements from attorneys are always helpful, but I respect that attorneys cannot always devote the time needed to give as much detail as possible. Phone calls with attorneys can be extremely helpful. It is a time before mediation when attorneys feel more freedom to be candid about the case than in a writing their client will be reading. What is your pet peeve in mediation? I suspect every mediator’s pet peeve is attorneys who get in the way of their client agreeing to a deal that works for them and the other side because they think they might get more in court. Are you married/do you have kids/pets etc? My wife, Diane, and I met in law school. She is at Baker Donelson. She has this great ability to help me see complex situation more clearly and that is an immense help in my practice. We have three great, interesting children, who are good friends, and good people. Our sheepdog/wolfhound mix, Maggie, keeps us smiling. Why did you become a mediator? I became a mediator because I think people need to avoid the financial and emotional costs of litigation. I am a good listener and I enjoy helping people work through tough problems. What is your favorite mediation read and why? Challenging Conflict: Mediation Through Understanding. By Gary Freidman and Jack Himmelstein. It is about discovering what is really important to people. They write not just about helping people state their goals but getting a deeper understanding of why their goals are what they are. That understanding is essential, and an often-overlooked part of interest based negotiation, and perhaps the most important impasse breaking tool. What are you most afraid of in mediation? I am always on guard to not lose my neutrality, or my patience. How do you debrief yourself after a mediation? Pinot noir in the winter, white burgundy in the summer. Seriously, while I am in the shower the next morning. I am most proud of my role in helping to introduce collaborative family law to Nashville. If I am picking one person, I would say my father. He died young, after my first year in law school, when I was young. I truly miss having not known him as an adult. What do you see for the future of mediation? In my area of family law, and maybe other areas, I think we will see much more integration of non-legal neutrals into the mediation process as co-mediators, particularly financial neutrals. In the area of collaborative family law, we typically use financial neutrals, and mental health professionals, as neutral facilitators, with great success. As more couples begin to view divorce as transactional rather than as litigation, the role of attorneys may well become more secondary. For my lawyer colleagues, do not worry, the law as frame work will always remain vital. Knowing what you now know about life etc., would you choose the same career path? If not, what would you like to do? What I know about life is that you do not get to do it over. I like what I do. What happens to your partner when you die?